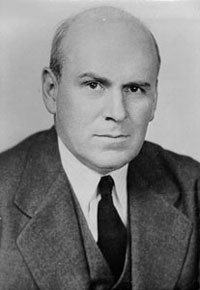 As Assistant Secretary of War (1941-45) under Henry Stimson, John McCloy was one of the few civilians who knew about the Manhattan Project. During deliberations over whether to drop the atomic bomb on Japan, McCloy advocated a diplomatic solution instead. U.S. Military Governor and High Commissioner for Germany (1949-52). Later served on the Warren Commission.